VLeague: Bình Dương & Đồng Nai’s fine form continues. Bình Dương recorded their fourth straight league win, with a 3-1 victory against Long An, in front of 13,000 fans at the Go Dau Stadium. The home side entered the break 2-0 up thanks to a brace from Nguyễn Anh Đức. Kelsy Alves secured the points after the hour, converting a penalty. With 5 minutes remaining, Long An, still searching for their first win of the season, scored a consolation goal through Đỗ Đình Vinh. Bình Dương, now in second place, have cut Thanh Hoa’s lead to just three points, however they have played a game more. Quang Ninh got back to winning ways, after suffering three defeats in a row, with a comfortable home win against bottom side Hùng Vương An Giang. First half goals from Vũ Minh Tuấn and Oghene, were enough for the home side to secure a 2-0 victory. The result sees the promoted side move back up to third in the league. Đồng Nai secured their third win in a row, thrashing Quang Nam 5-1 at the Đồng Nai stadium. Henry Kisekka gave the visitors the lead after just nine minutes. But things would only get worse for the visitors, as Le Hai Anh was dismissed just before half time, for a second bookable offence and after the hour Đồng Nai were level through aNguyễn Chí Huynh own goal. The home side went ahead just four minutes later thanks to their Spanish striker, Melquiades Gomez. Nguyễn Chí Huynh’s afternoon then got much worse as he received a straight red card, reducing Quang Nam to nine men. It only took Đồng Nai one minute to capitalize on their numerical superiority, thanks to a goal from Đinh Kiên Trung. A goal apiece from Ngô Đức Thắng and Trần Hữu Thắng in the final 7 minutes completed the rout for the home side. 10 men Hải Phòng secured a 1-1 draw against Hoàng Anh Gia Lai at the Lạch Tray stadium on Saturday afternoon. The home side took a first half lead through Felix Ogbuke, but HAGL, looking for their first win in three matches, equalized after 63 minutes through Justice Majabvi. Hải Phòng were reduced to ten men when Đinh Tiến Thành received his second yellow card, but the visitors couldn’t take advantage of the extra man as Hải Phòng held out for the remaining 20 minutes. 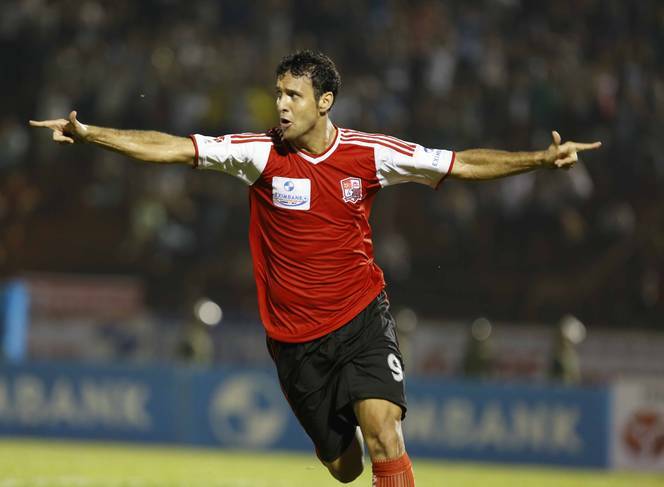 Ha Noi T&T and Ninh Binh are both back in AFC Cup action this week. Ha Noi set off for the Maldives to take on Maziya, knowing a victory will guarantee them a place in the last 16. 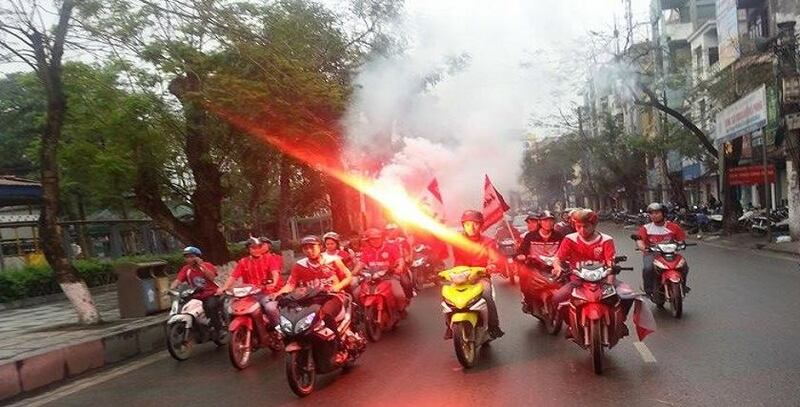 Ninh Binh, who secured qualification from group G last week by thumping Kelantan 4-0, host South China, of Hong Kong.